You've never seen augmented reality done this way! 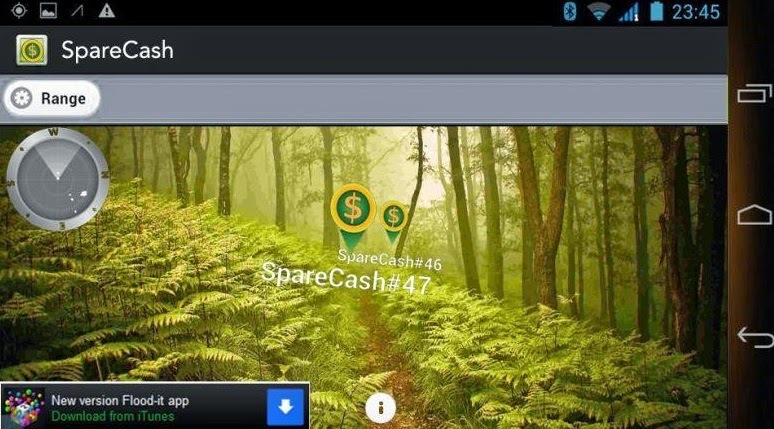 SpareCash is a very original and innovating app / game that provides a unique user experience and gameplay. 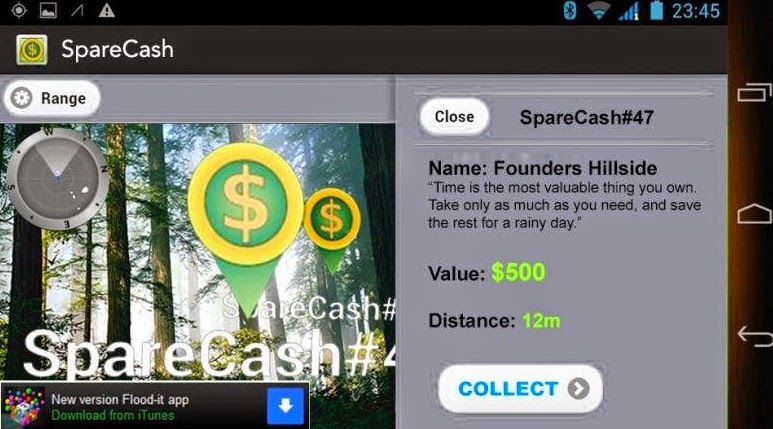 SpareCash is all about making the user hunt in his own surroundings, weather it is on the streets of a city, inside an urban complex or just when hiking on the wilds, climbing or touring nature. SpareCash display for you a radar, a long range sensor where you can see the locations of markers, plots on the terrain scattered by the makers of Sparecash and refresh and recast occasionally (check their facebook page for updates). 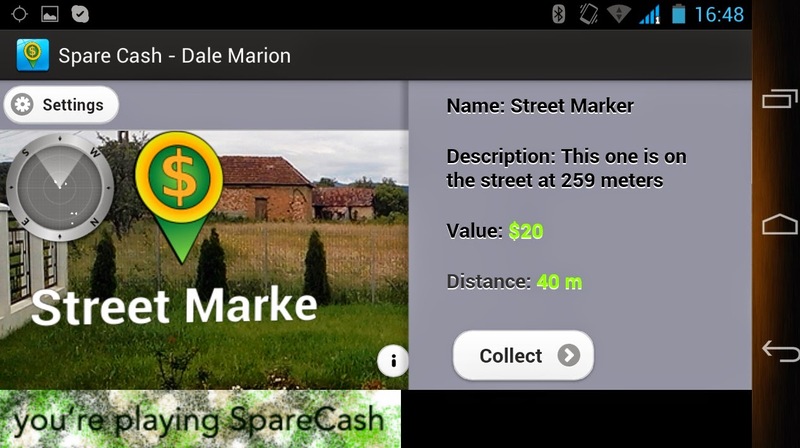 Then, you take your smartphone and go hunt, looking for the markers in real terrain, reclaiming them and receiving real money. Yeah, we checked. You REALLY do receive real money, according to the makers you claimed and their value. The nice thing about SpareCash is its versatility. Do you want a nice walk on the streets with a few markers spread and reclaimed just for fun? No problem. Do you want an active and lucrative hunt in some urban complex such as a shopping mall? Go right ahead. Do you want a race through the woods with friends to hunt for some elusive makers? Go on, they are waiting for you. In conclusion, SpareCash really is an app that has something for everyone, whatever their age, physical aptitude or time. Just fire it up and go hunt those markers!